Astral is our new collection of jewellery, inspired by the stars, and captures the night sky's brilliance in radiant diamonds and heavenly combinations of colourful sapphires. 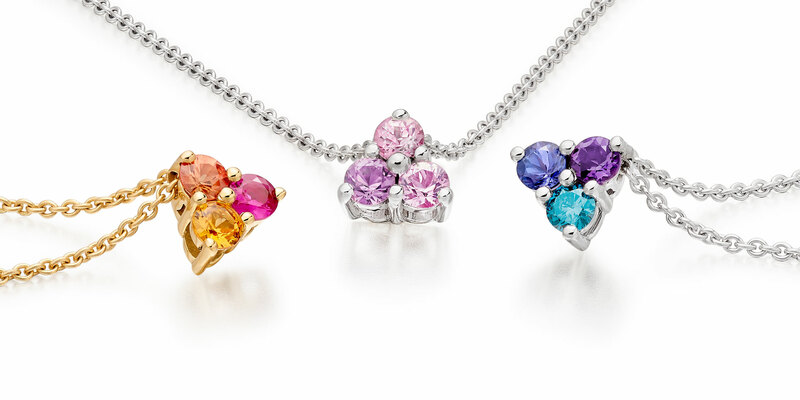 Grouping three round faceted gemstones as the central motif, the collection also references the occurrence of the number three in nature – from the triangular patterns within major constellations, to the classical trefoil of petals and leaves. The number 3 was believed by ancient cultures to convey good fortune, representing wholeness and the unity of harmony, wisdom and understanding. Taking as our starting point the mirrored configuration of the Summer and Winter Triangles, groupings of major stars that are visible in the height of summer and depth of winter, Astral draws on spectacular celestial events from the Aurora Borealis to the Red Nova, to inspire a selection of gems that are as bold and clear in their colours as they are radiant in their fire. 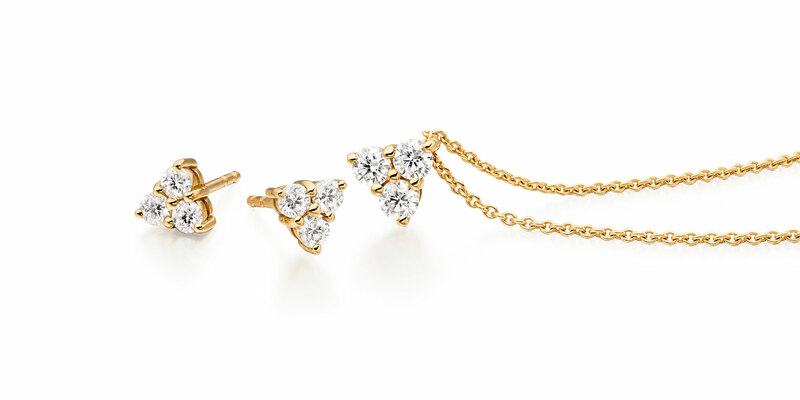 Astral Cluster showcases its white diamonds to recreate stellar constellations, the groupings of radiant stars that are visible on Earth under clear skies. Comprising a pendant and stud earrings set with 2.5mm or 3mm diamonds, Astral Cluster is available both in 18ct yellow and white gold. Three additional colourways are similarly inspired by spectacular moments in the night sky. 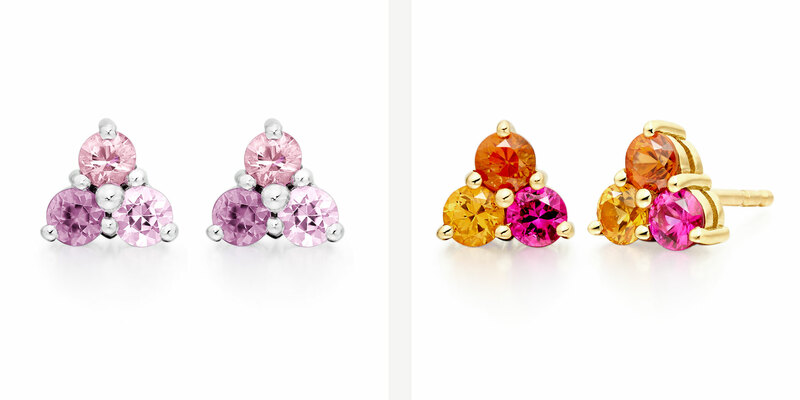 Astral Blaze resembles the sumptuous fire of a magical sunset, with six faceted sapphires in tones of apricot, deep pink and fiery orange hand-set in 18 carat yellow gold. Astral Lagoon captures the opulent reflection of the night skies in ocean water, studded with blue diamonds, tanzanites and deep hued amethysts, hand-set in 18 carat white gold. And Astral Dawn evokes the exquisite break of dawn, as the first rays of sun merge with the stars, captured by six faceted sapphires in tones of purple, pink and rose, hand-set in 18 carat white gold. 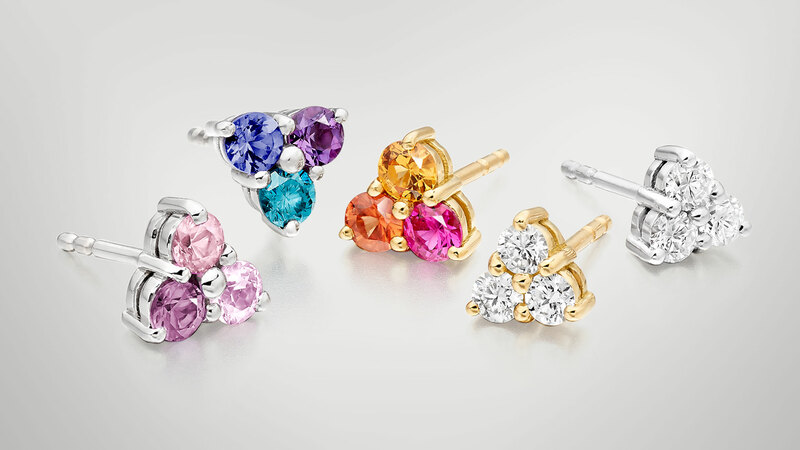 The coloured gemstone series comprises a matching pendant and earrings, hand-set with 3mm gems in 18 carat gold. The Astral studs also form an additional complement to our selection of interchangeable pearls that can be purchased independently. These pearl fittings can already be worn with earrings from the pretty gemstones of our Lief collection to the pave diamond leaves of the Enchanted range. With the new collection, the Astral Blaze earrings provide a spectacular contrast to the stunning dark hues of the Tahitian pearl, the Astral Lagoon studs are the perfect partner for our peacock Tahitian pearls and the Astral Dawn gems will draw out the rose blush overtones of the white Akoya pearls. 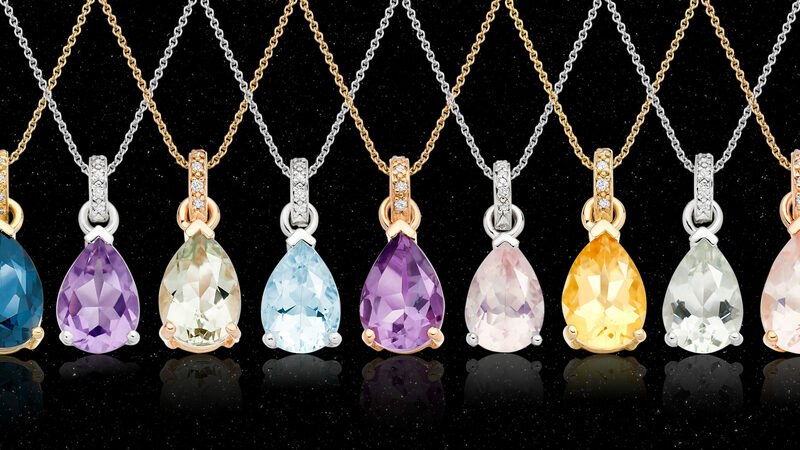 In early December, a stunning leverback drop earring to complement our classic diamond leverback earrings will also feature the Blaze and Lagoon gems set against citrines in rich honey tones and imperial purple amethysts. View the Astral collection here.